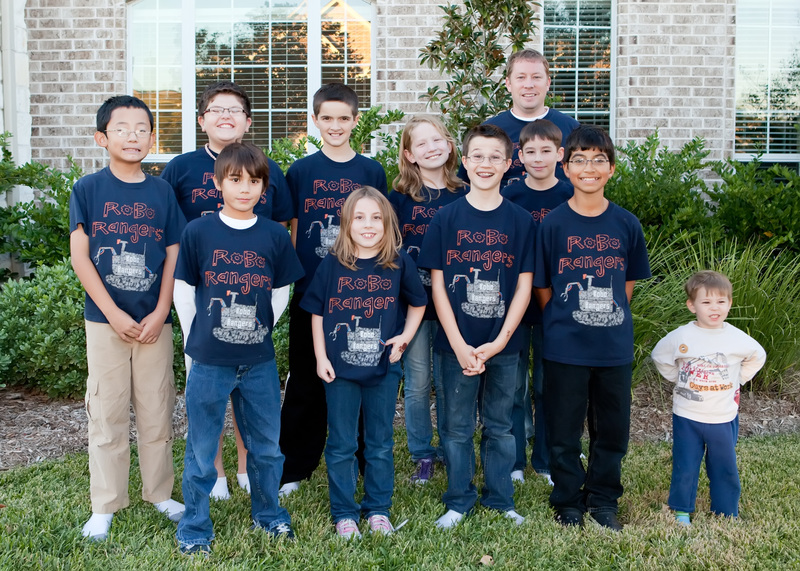 Here is our 2011 crew. Only 2 1/2 weeks until qualifiers!! This entry was posted in FIRST Lego League, Food Factor, Houston, Photos, Team meetings and tagged FLL, Food Factor, Houston, Houston FLL, Roborangers. Bookmark the permalink. I think you acquired a little mascot (smile).